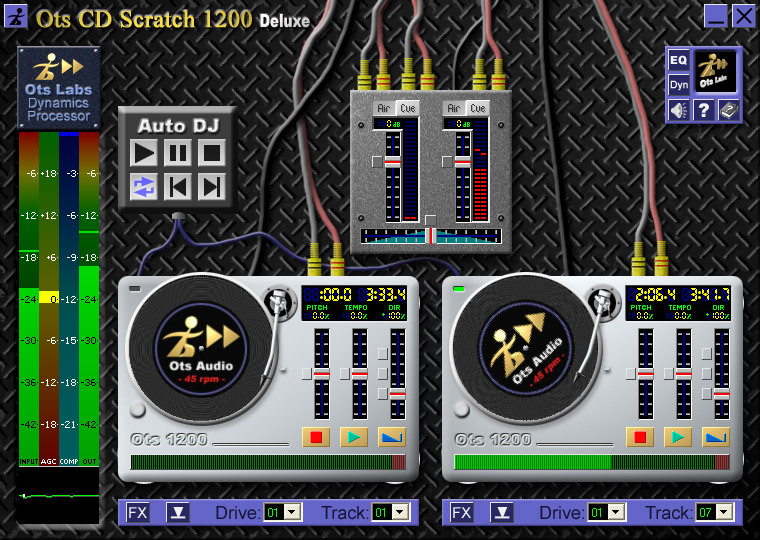 CD Scratch is a FREE, funky and incredibly fun "Virtual Turntables CD Player" performing the seemingly impossible... Play two songs from the same CD at the same time - one forwards and one in reverse! Scratch a CD track back and forth like a record, or listen to your favorite CD automatically mixed between the turntables. DJ your next party like a pro, or enjoy the optional warm vinyl-crackle ambience on your latest CD. Perfect for music lovers and aspiring DJs, CD Scratch is the ultimate CD player for any Windows machine, and is less than 1Mb to download FREE for life! (No spyware, no banner ads).